VW and coachbuilder Karmann have been working together for decades. WOLFSBURG -- Volkswagen AG is considering whether to build two VW cars at Karmann after buying the bankrupt German coachbuilder. VW CEO Martin Winterkorn has ordered an analysis to see whether and when Karmann could build the carmaker's new Bluesport Roadster and a Golf convertible, a VW executive told Automotive News Europe sister publication Automobilwoche. The roadster was unveiled as a concept vehicle at the Detroit auto show in January. Currently, VW plans to build the new Golf convertible in its Wolfsburg factory. The executive ruled out Karmann as a contract manufacturer for complete VW models. "Karmann production is too expensive," he said. Karmann, a contract manufacturer and convertible rooftop specialist, is most famous for building the VW Beetle-based coupe dubbed the Karmann Ghia. In recent years, a trend among automakers to reduce outsourcing the assembly of entire models weighed on Karmann's order book. After delivering its last Mercedes-Benz CLK in June, Karmann's coachbuilding business was left without work. VW's supervisory board will discuss whether to buy Karmann on Nov. 12. 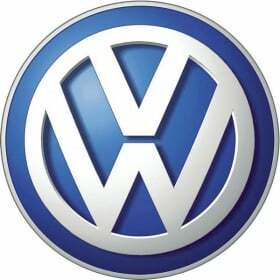 VW is ready to pay a sum in the low two-digit millions for Karmann, German press reports have said. According to the VW executive, the Wolfsburg automaker is mainly interested in Karmann's engineering and toolmaking expertise. Within VW, a Karmann stake is seen more as support for a longtime partner rather than a necessity. "VW doesn't need Karmann," the executive said. Industry circles see VW participation in Karmann as a favor to Christian Wulff, the prime minister of Lower Saxony. Wulff is a member of VW's supervisory board and has his electoral district in Osnabrueck.